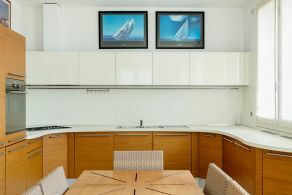 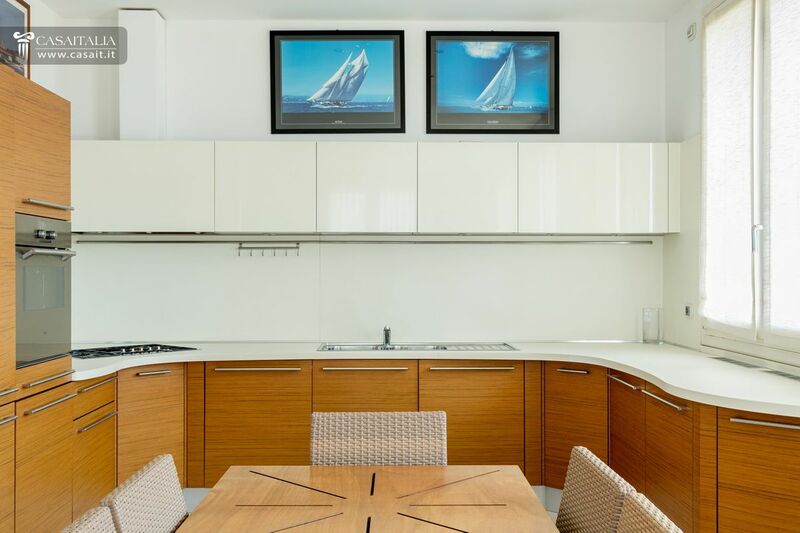 The penthouse, with rooftop apartment, is on third and fourth floors of a building that was originally used as a hotel and it was completely renovated and converted into a private dwelling in 2005. 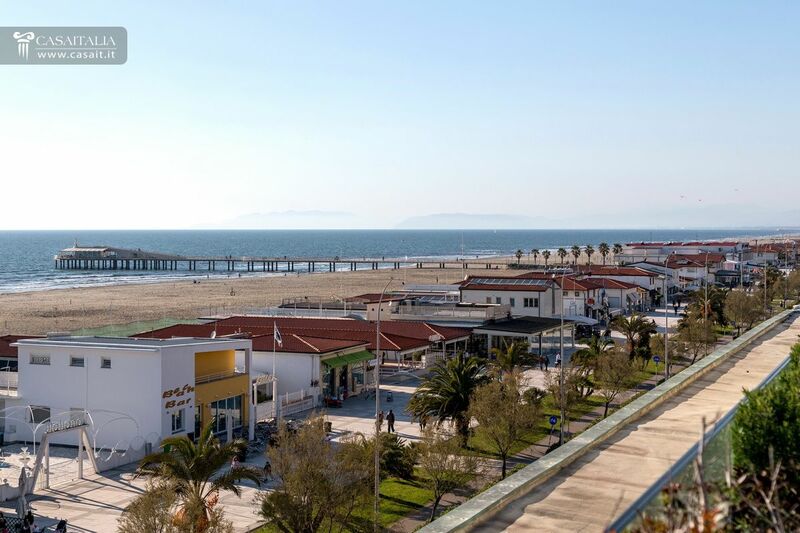 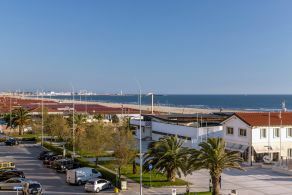 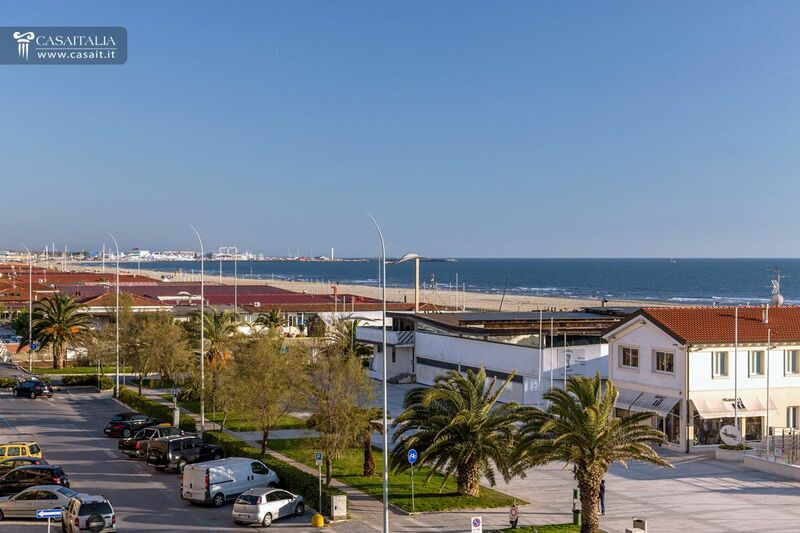 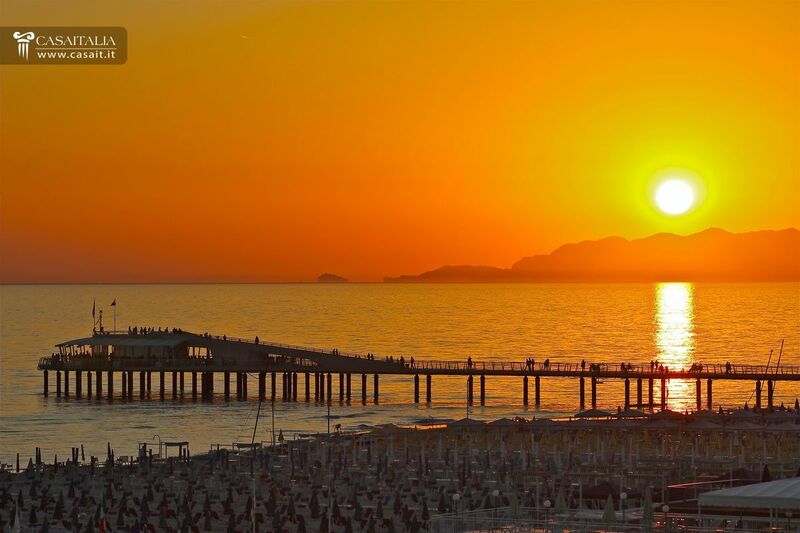 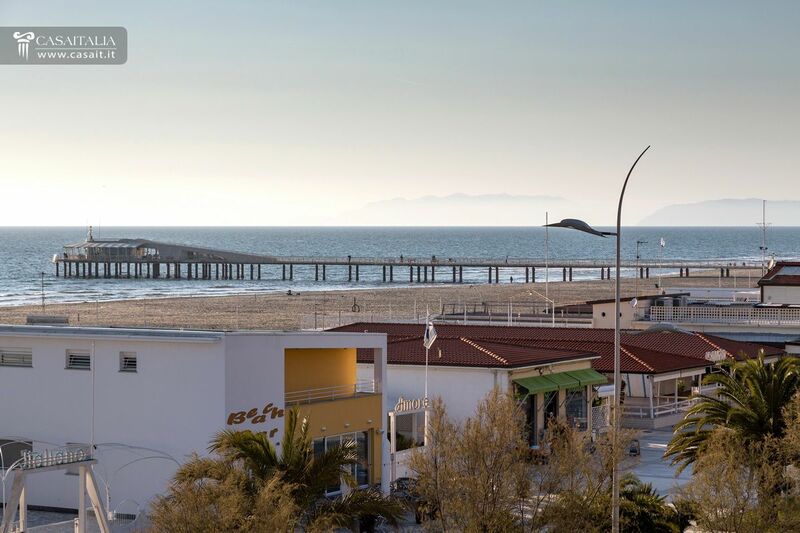 It is in an excellent location: beach-front and at the same time just a short walk from the services that a town like Camaiore, a maritime locality active all year round, has to offer. 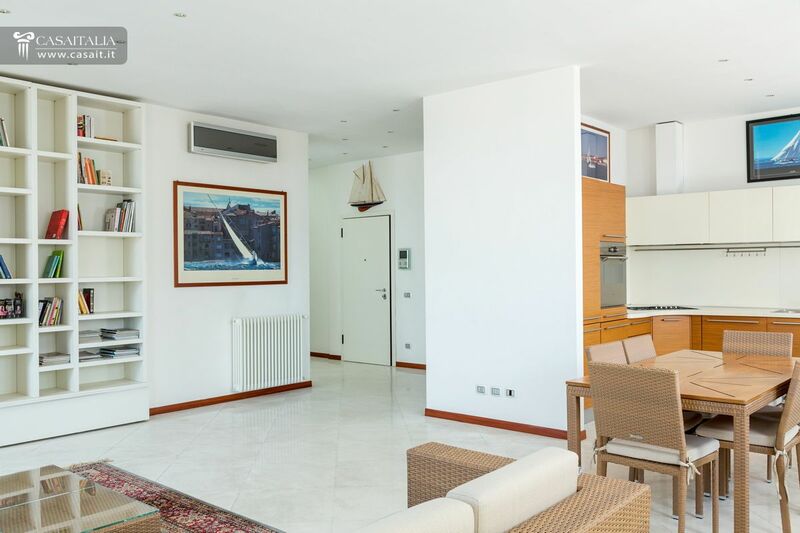 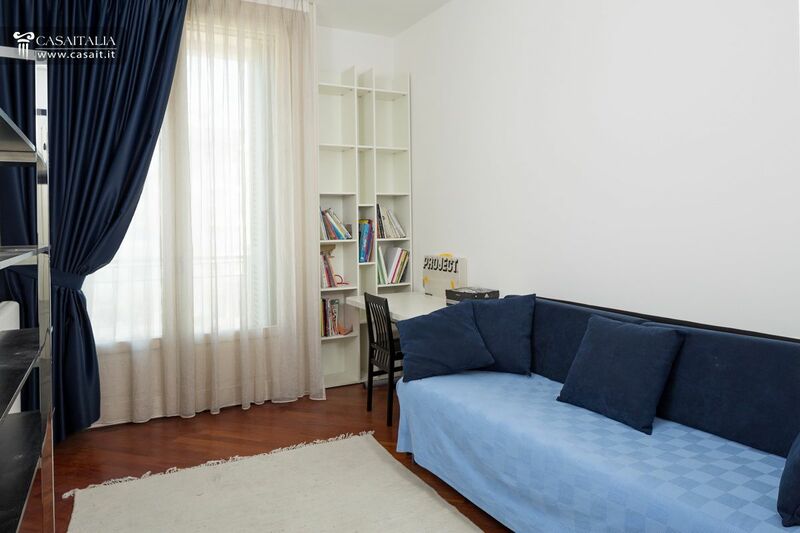 The property is well-connected to the main roads: the A12 and A11 motorways are respectively 1.5 and 2 km away and allow you to reach Pisa (25 km) in less than half hour, Florence (95 km) in about 1 hour and Genoa (130 km) in about an hour and a half. 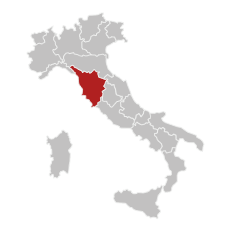 The nearest airports are those of Pisa (30 km), which can be reached in half an hour by car, and Florence (100 km) in about an hour. The apartment is spread over the third and fourth floors and is served by a lift. 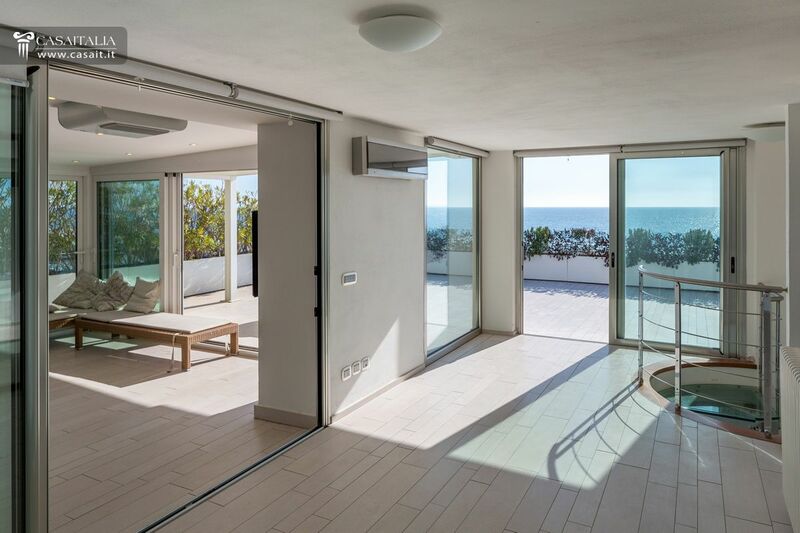 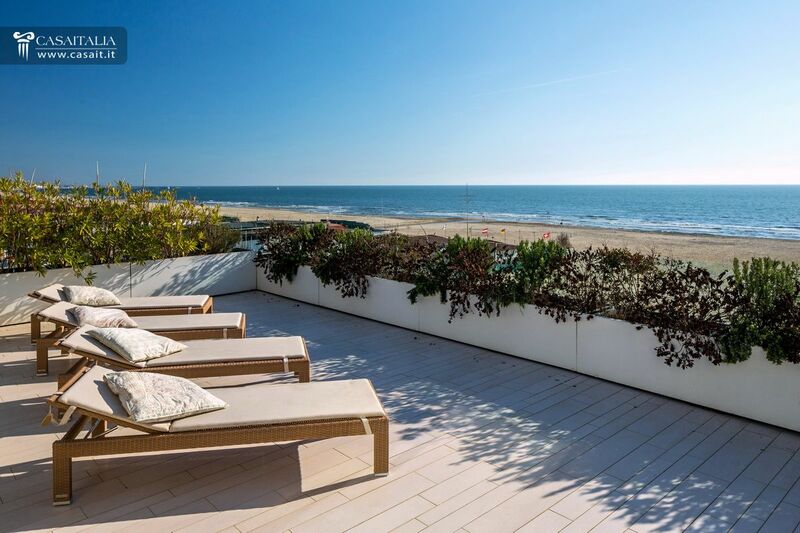 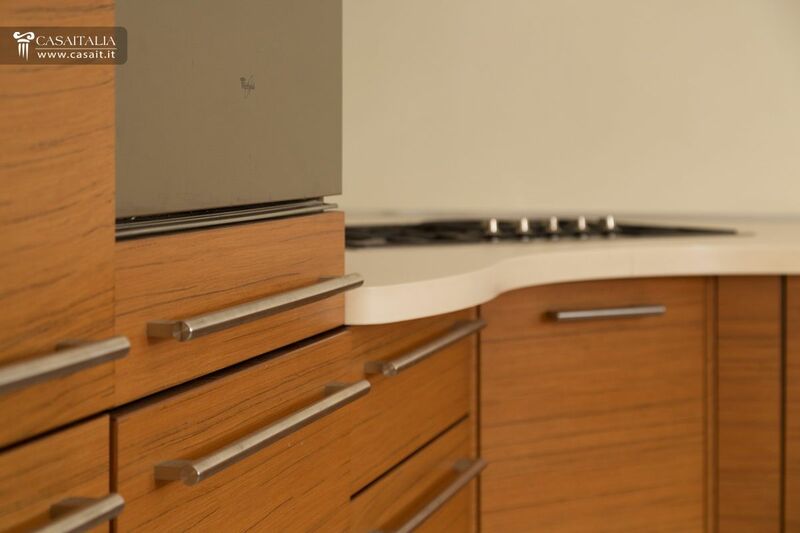 The entrance opens into a large living area with a fitted kitchen and two balconies overlooking the sea. 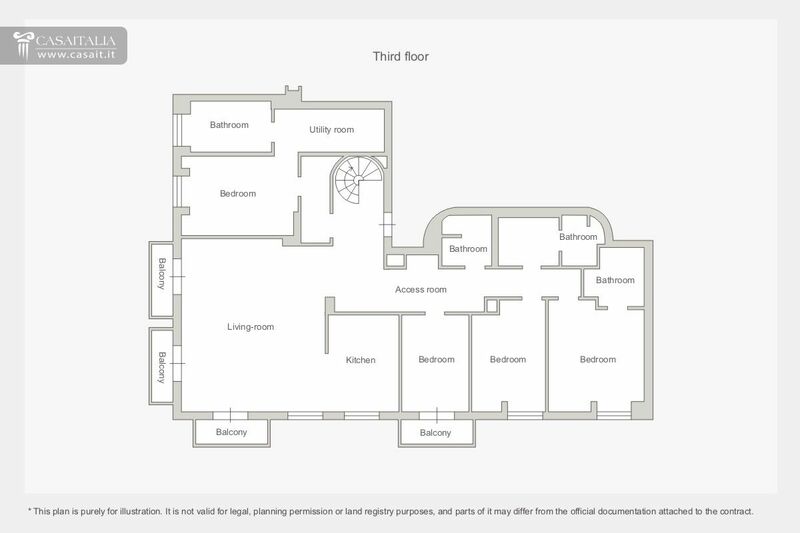 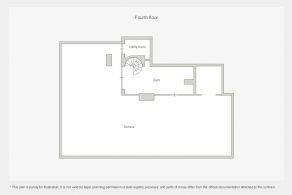 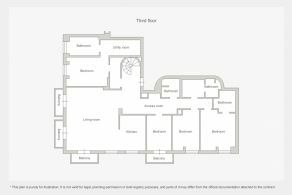 To the rear, there are 3 bedrooms with two bathrooms and, to the side, another bedroom with an en-suite bathroom. 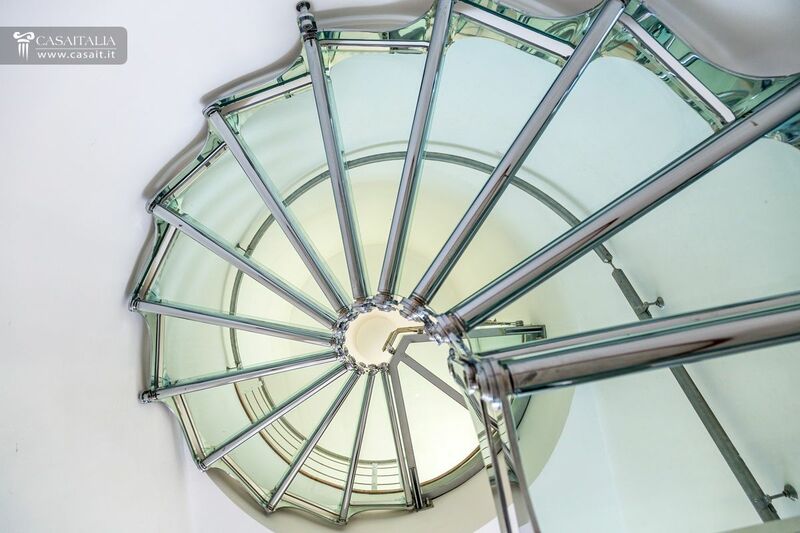 A decorative staircase made of glass and steel leads to the rooftop apartment, where there is a room used as a gym, a storage room predisposed for another bathroom and a magnificent terrace of approximately 160 sqm, which is partially covered. 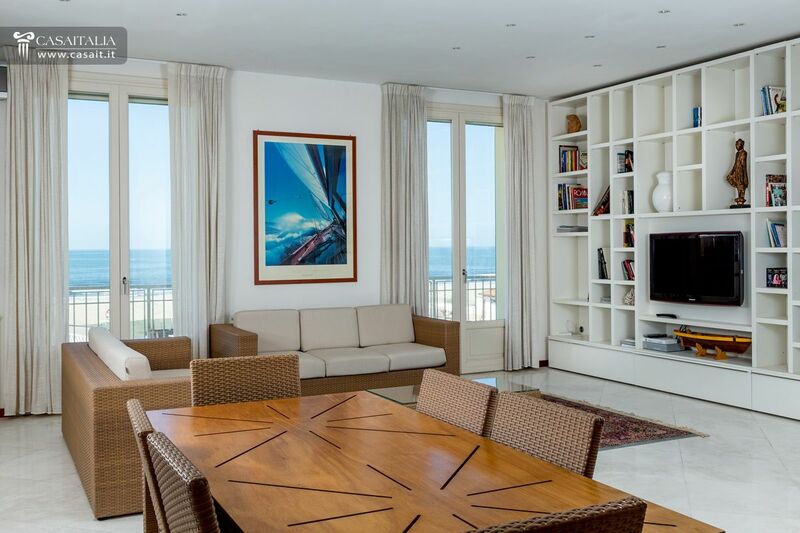 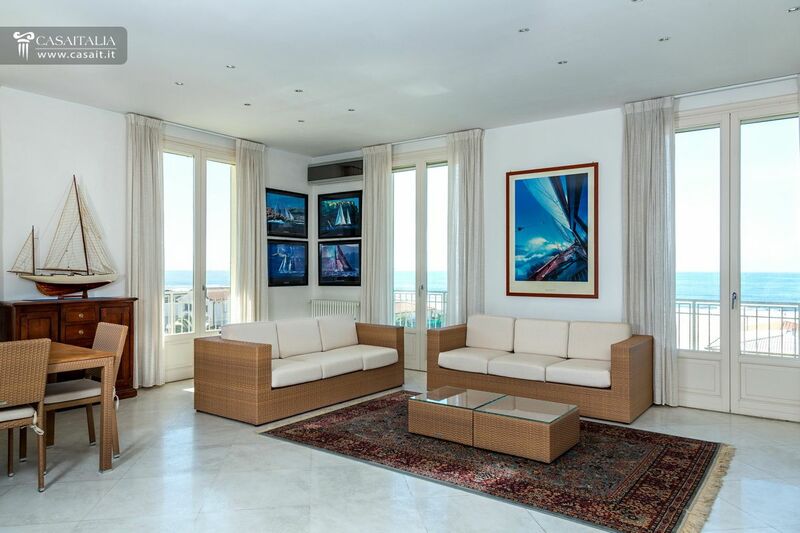 The property was fully renovated in 2005 and, thanks to the large glass windows, is bright and has exceptional views. 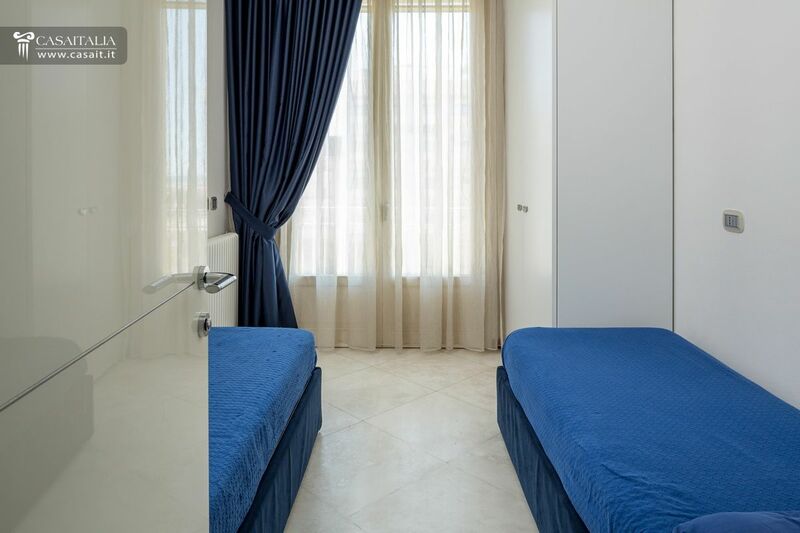 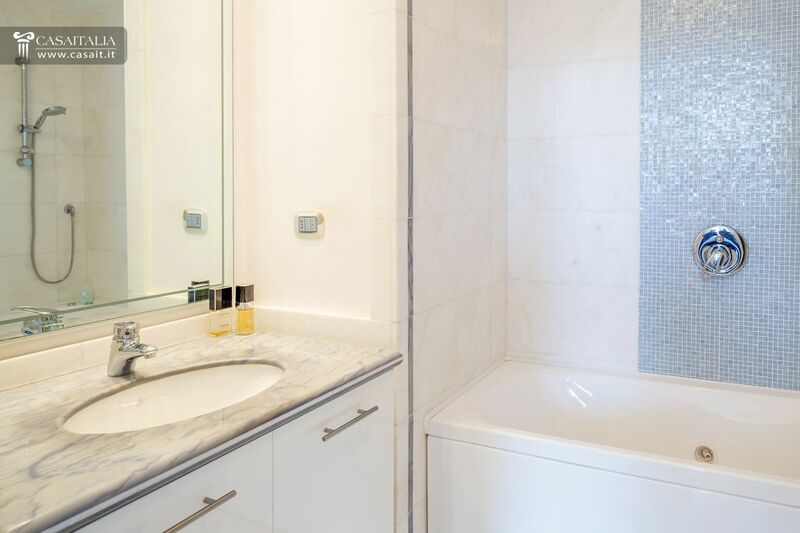 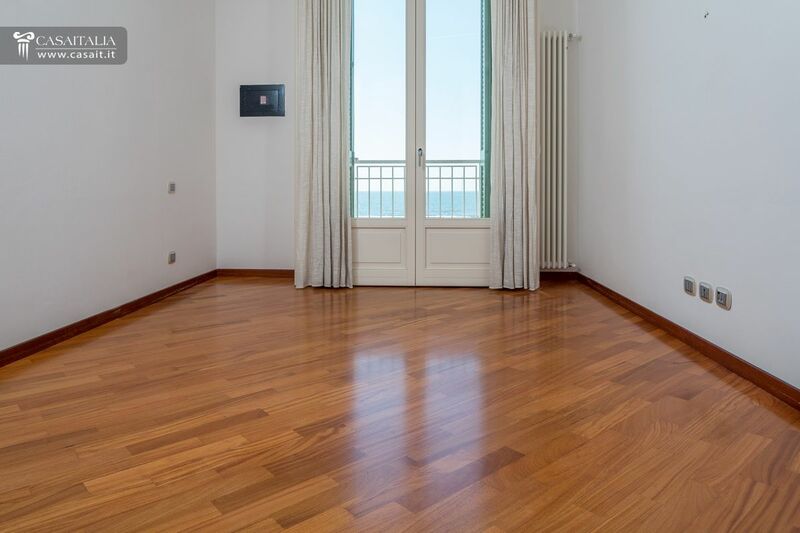 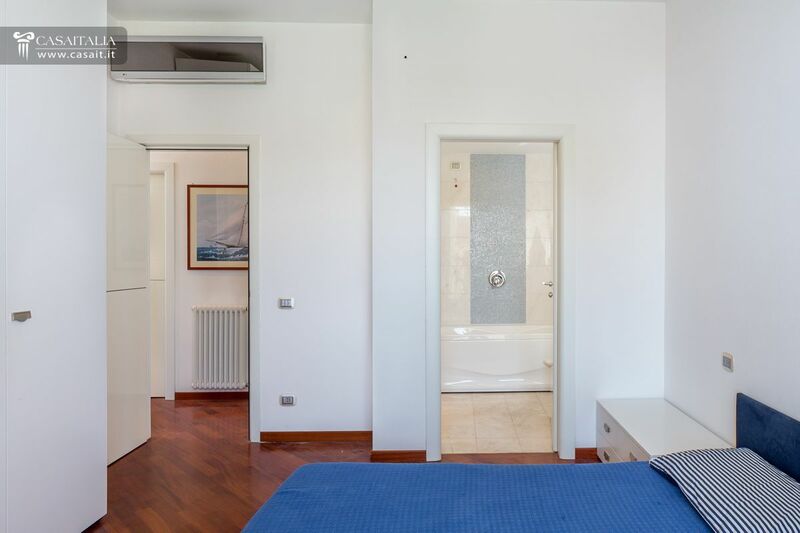 The property contains high quality finishes: floors made of marble from the nearby Massa and Carrara, in combination with the cherry wood parquet flooring, and Bisazza mosaic in the bathrooms. 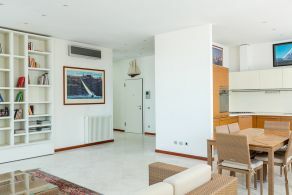 The apartment enjoys large outdoor spaces. On the penthouse floor, there are four balconies, three of which can be accessed from the living room and the other from one of the bedrooms. 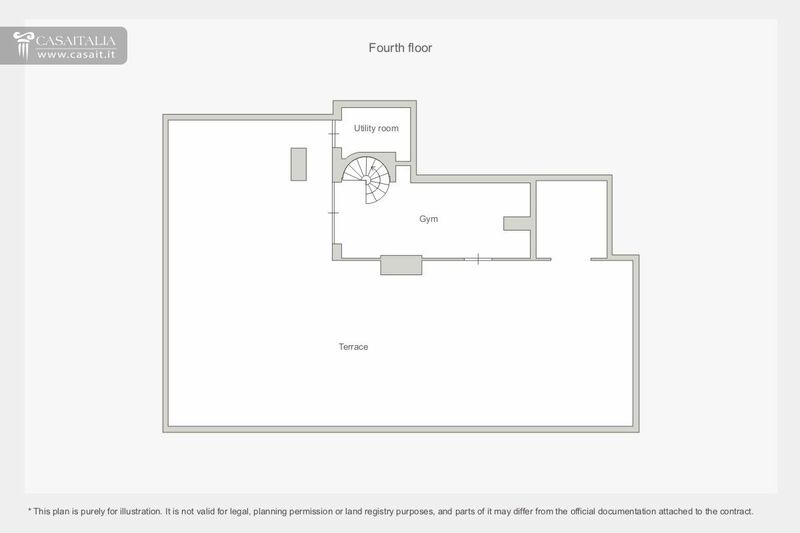 On the floor above, there is a large terrace/sunroof measuring about 160 sqm and partially covered. 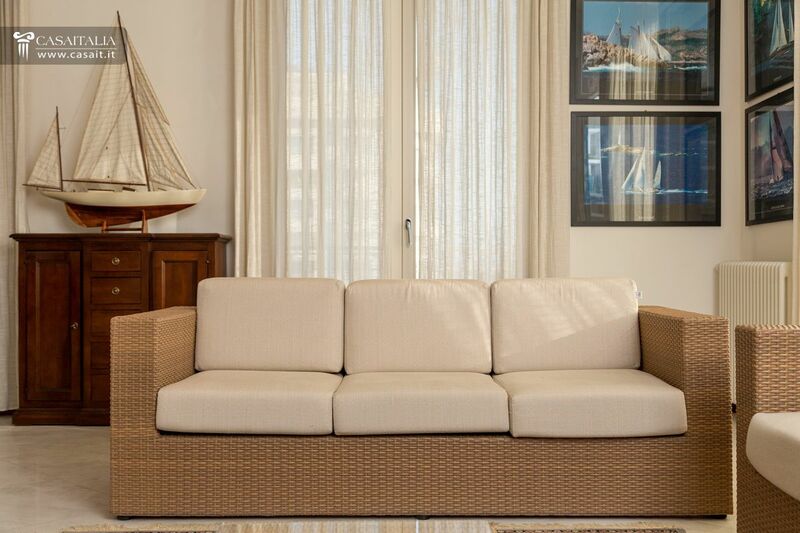 Thanks to its position and its features, the property is absolutely suitable both as a primary residence, to be used all year round, and as a high quality property for holidays.